The Finished Whale, originally uploaded by somjuan. I powerwashed the bus today, so we would be able to paint things on it. 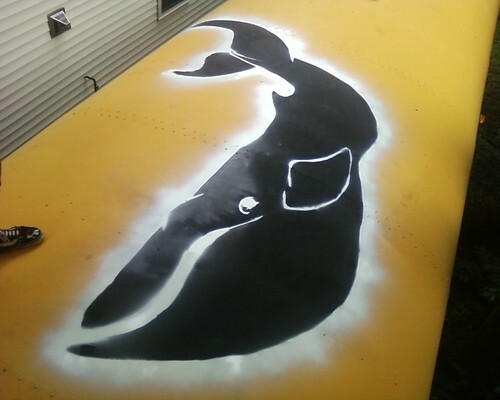 Dan took the lead and painted this huge whale on the top of the bus. It is around 9 feet from end to end, and really looks awesome in person. If it is raining tomorrow, you can still come by to plan, or make stencils. Sunday is supposed to be gorgeous.